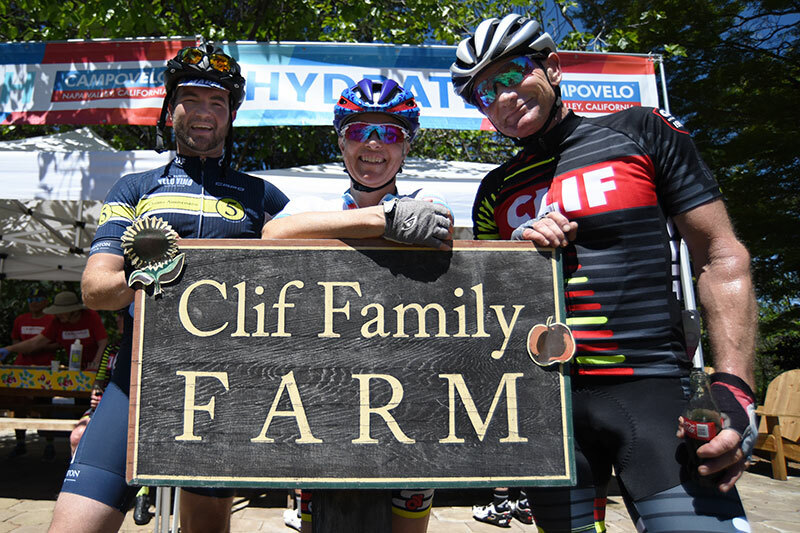 St. Helena, CA (January 23, 2018) – Chef Chris Cosentino is pleased to announce the second annual CampoVelo and title sponsor Clif Bar & Company. The event will take place April 27-29, 2018 in stunning Napa Valley, California. 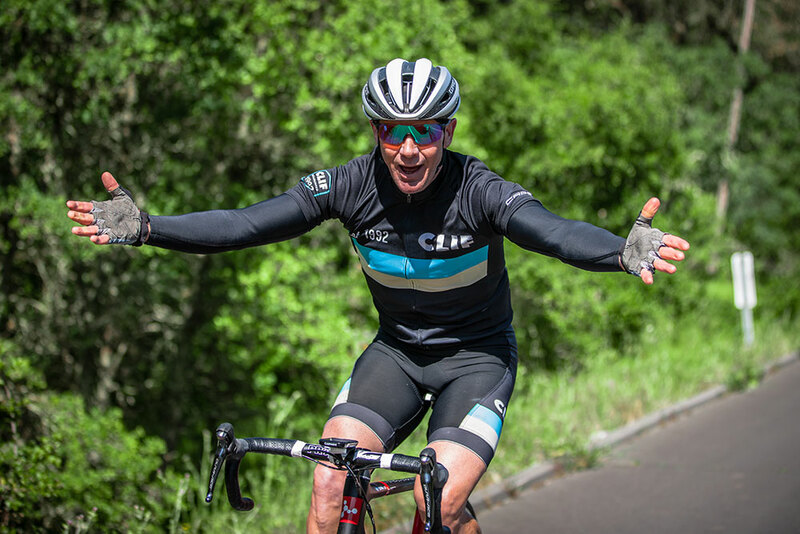 As a former professional cyclist, Chris’ unique recipe for a perfect Napa weekend is to eat well, ride hard (or easy), drink excellently, and find your fun. This combination of world class cycling, wellness, cuisine, and libations makes CampoVelo truly a unique event. By blending the best of the culinary world with the world of cycling and wellness, CampoVelo has quickly turned into an event that is the highlight of the year for many. Chef Cosentino along with twenty Featured Guests (chefs, winemakers, pro-cyclists and other notables), the women’s mountain bike CLIF Pro Team, and the men’s road and criterium Team CLIF Bar Cycling lead attendees through the weekend in a myriad of activities designed to support and promote CampoVelo’s local, national, and global beneficiaries. Each morning, Featured Guests will accompany the participants on mountain bike, road bike, and e-bike rides throughout Napa Valley. 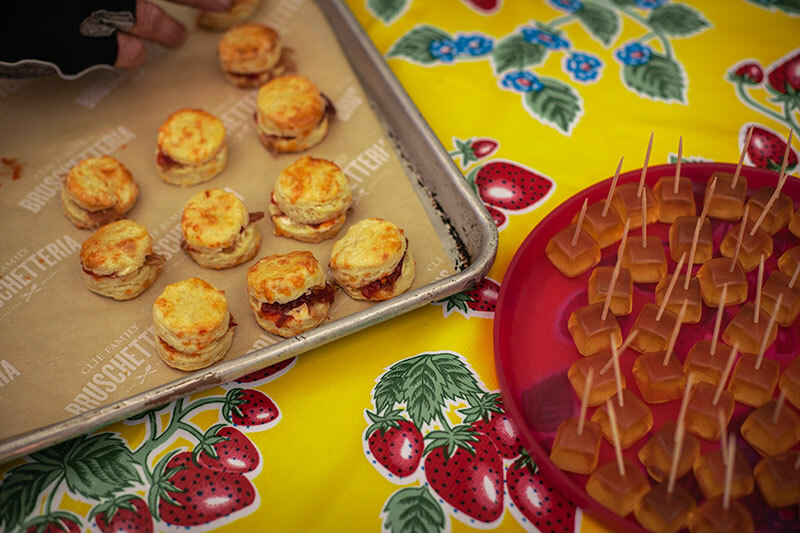 After hours of exploring the amazing outdoor opportunities on two-wheels, chef Cosentino and friends will lead product demos, workshops, and prepare five-star evening dinners. “Anyone who knows me, knows my passion for food, family, cycling and fun. Last year I was able to share those passions with our guests over the CampoVelo weekend. We have a killer weekend planned for 2018 with more of my chef, athlete, and winemaking friends joining the festivities,” remarked chef Cosentino. 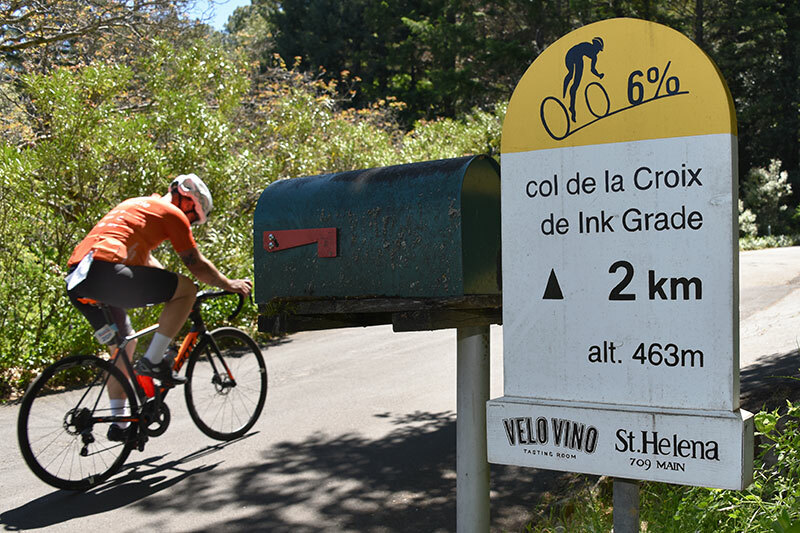 The weekend kicks off in St. Helena on Friday with a selection of road and mountain bike rides, as well as a yoga session, followed by lunch at Clif Family Winery’s tasting room and an evening Welcome Reception with bites by Cosentino, wine tastings, and a fashion show at Las Alcobas. A ticketed five-course dinner hosted by Cosentino at his restaurant Acacia House in St. Helena will benefit No Kid Hungry. Saturday features a selection of rides and wellness activities at von Strasser Family Winery and Calistoga Motor Lodge and Spa. Morning activities will be followed by relaxation and a festival featuring speak-easy sessions, culinary demos, and wine workshops. New for 2018, CampoVelo will host bike relay races, live music, wine, beer, and food trucks on Saturday evening at the Calistoga Speedway. The weekend culminates Sunday with a big ride, gran fondo style, including three route options (35/50/80 miles), followed by a “Pigs, Pasta, and Pita” lunch at the iconic Charles Krug Winery. Attendees can sample a selection of wine by Charles Krug and beer by Mad Fritz, play lawn games, enjoy live music, and bid on fantastic silent auction lots. 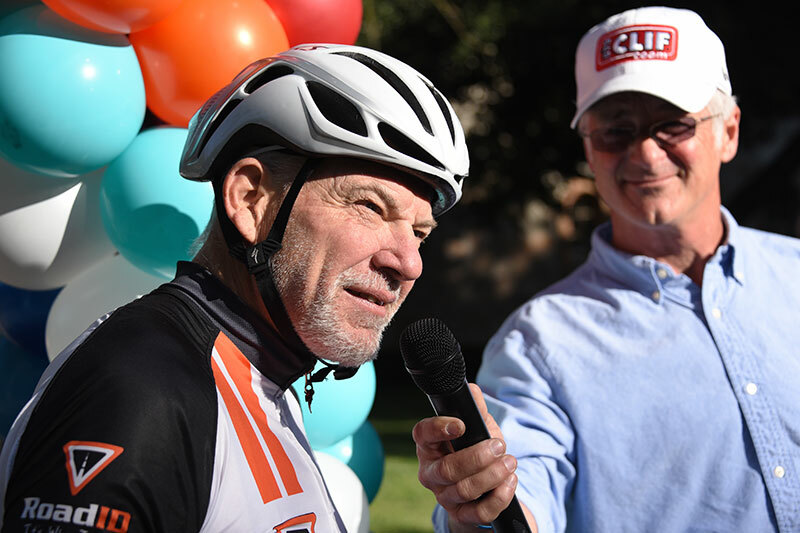 With the mantra “do good, one pedal stroke at a time,” CampoVelo benefits the Napa Valley Vine Trail, Chefs Cycle for No Kid Hungry, and World Bicycle Relief. Five percent of this year’s registration proceeds will also be donated to the Napa Valley Community Foundation towards the Disaster Relief Fund for fire victims. Other partners include First Republic Bank, Giant, Liv Cycling, CAPO, Las Alcobas, Acacia House, Vans, Topical Edge, SRAM, Silca, Tourissimo Active Travel, and Vittoria Coffee. CampoVelo Napa Valley, hosted by chef Chris Cosentino and produced by Ride Napa Valley, is a three-day weekend blending the best of the culinary, cycling, and wellness worlds. Chris, along with twenty other chefs, pro-cyclists, winemakers, and other notable people lead the weekend in a myriad of activities designed to support local, national, and global non-profit organizations including the Napa Valley Community Foundation Fund for Disaster Relief, the Napa Valley Vine Trail, Chefs Cycle for No Kid Hungry, and World Bicycle Relief.